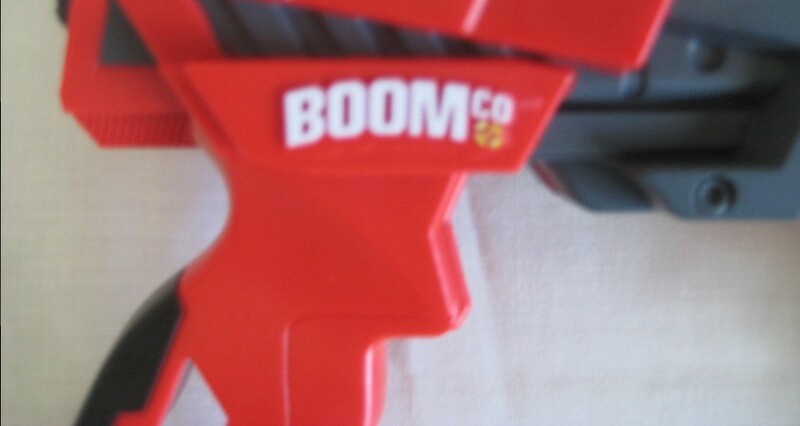 À uns tempos atrás, a Mattel anunciou que ia comercializar uma nova linha de lançadores, BOOM.CO . Após entrar em contacto com a Mattel Portugal para obter mais informações, a sua Relações Públicas decidiu enviar-me algumas amostras dos seus produtos. 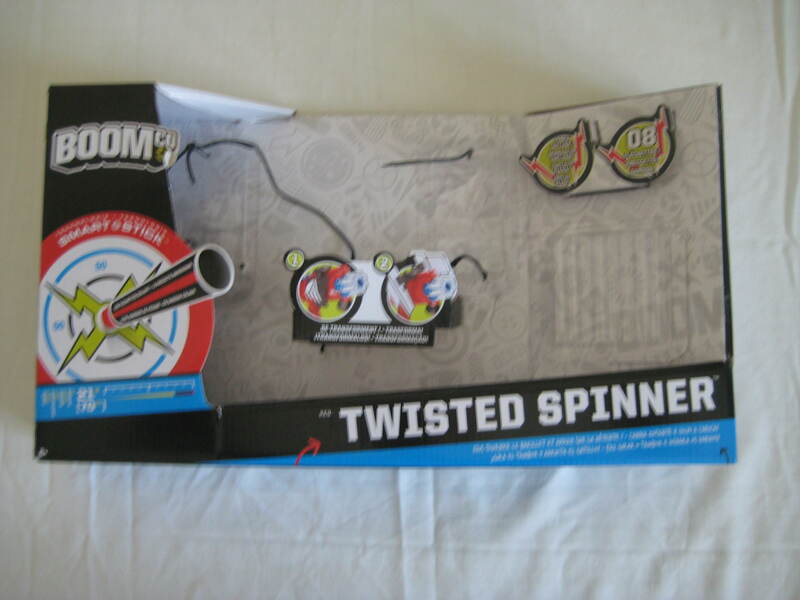 Na embalagem de amostras, recebi uma Twisted Spinner. 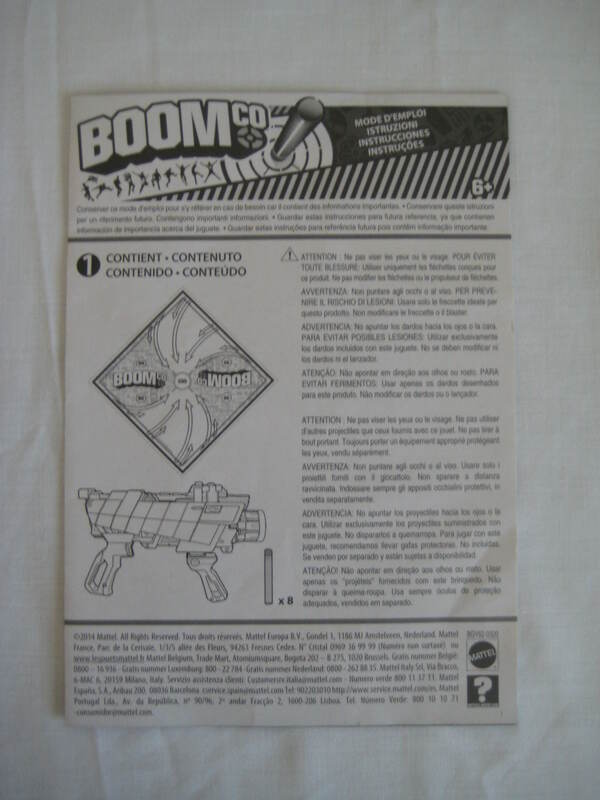 Na caixa da Twisted Spinner, vem o lançador, 8 dardos, um alvo, um escudo e um manual de instruções. A Twisted Spinner tem um tambor giratório com capacidade para 8 dardos. Também tem um rail para montar o escudo incluído. Como podemos ver na foto apresentada abaixo, a Twisted Spinner não tem um gatilho. Apesar disso, é fácil de manobrar e disparar. Para operar a Twisted Spinner basta puxar a alavanca para trás e para a frente continuamente. Para carregar a Twisted Spinner basta inserir os dardos no tambor giratório. A Twisted Spinner tem um visual agressivo, com um toque de ficção científica. 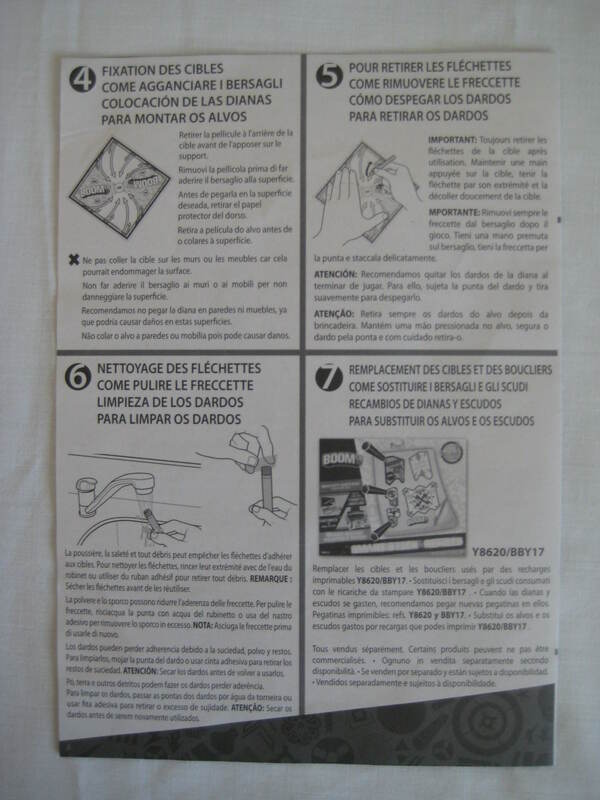 Tem uma boa capacidade de dardos (8) e é confortável. Infelizmente, não tem nenhum sítio onde possamos inserir uma cinto tático para transporte e também não funciona com dardos de outras marcas, o que pode ser uma desvantagem, quando nos encontramos no campo de batalha. A caixa diz que a Twisted Spinner dispara até 21 metros, e penso que quando a disparamos paralelamente ão chão, conseguiremos atingir no máximo 17 metros, o que é muito bom. Se dispararmos com um ângulo, atingimos os 21 metros referidos na caixa. Os dardos colam ao alvo através da tecnologia Smart Stick. 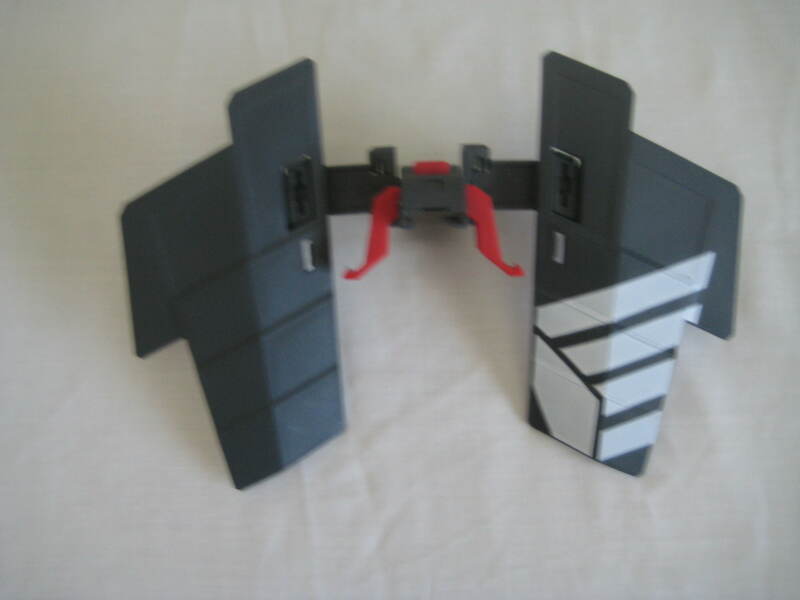 Ao dispararmos a Twisted Spinner numa batalha, se os dardos ficarem sujos podemos sempre lavá-los como é recomendado na caixa e eles ficam limpos e lives de poeiras. 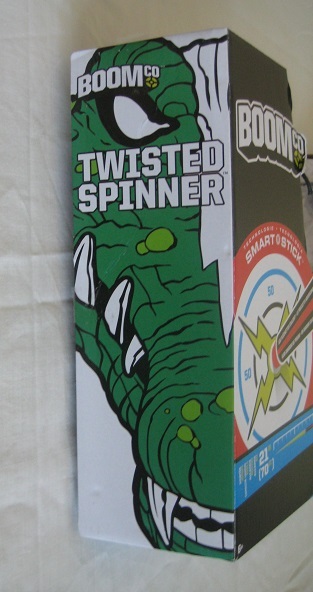 Penso que o preço (26,99 euros no Toys R Us) seja adequado ao conteúdo e recomendo que experimentem a Twisted Spinner. 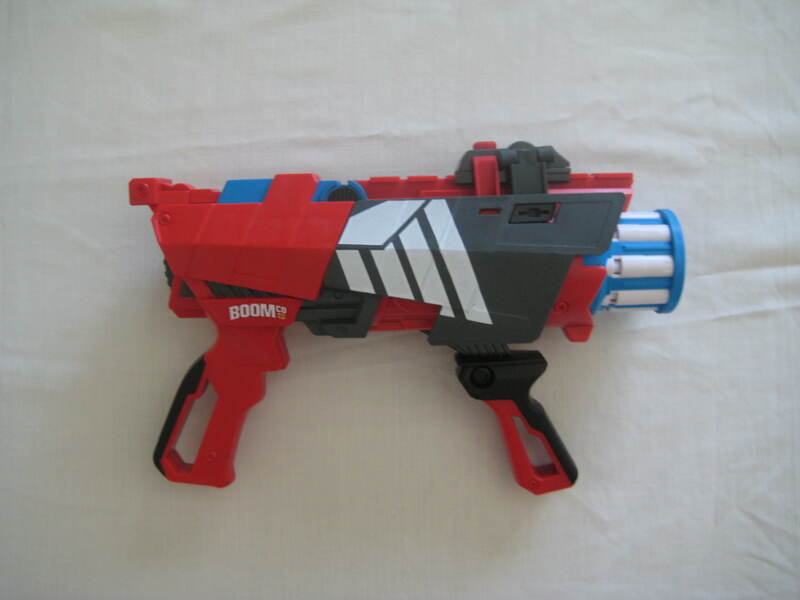 While back, Mattel announced that they were going to sell a new line of blasters, BOOM.CO . 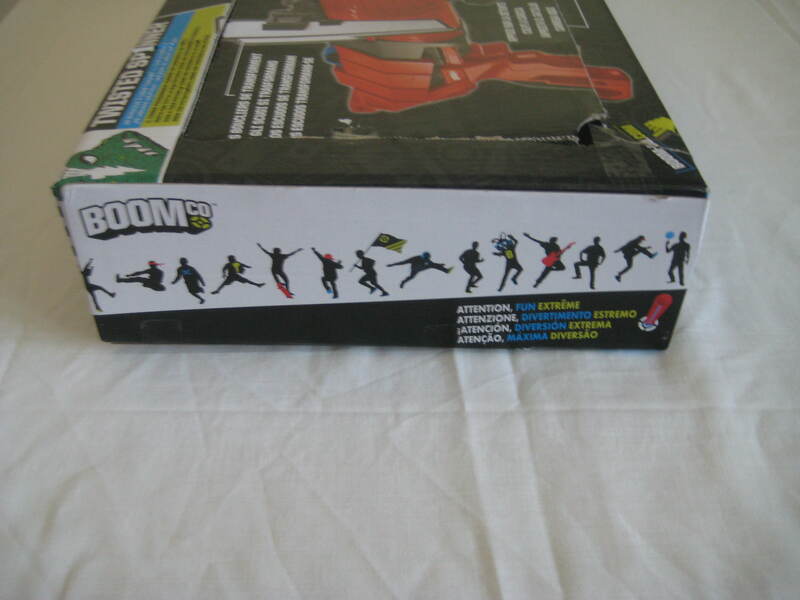 After getting in contact with Mattel Portugal to get more information of when the blasters would get to Portugal, their Public Relations was kind enough to send me some samples of their blasters. In the package, I recieved a Twisted Spinner. 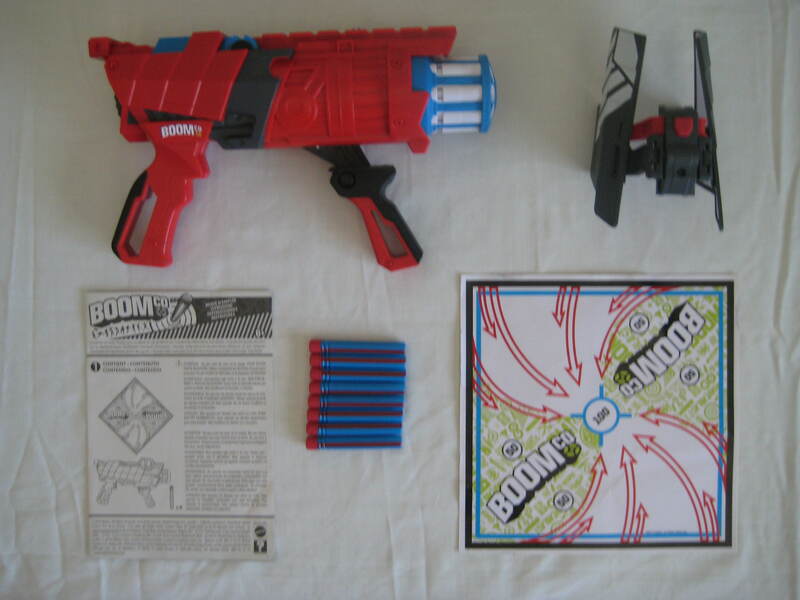 In the box of the Twisted Spinner, we get the blaster it self, 8 darts, a target, a shield and an instructions manual. 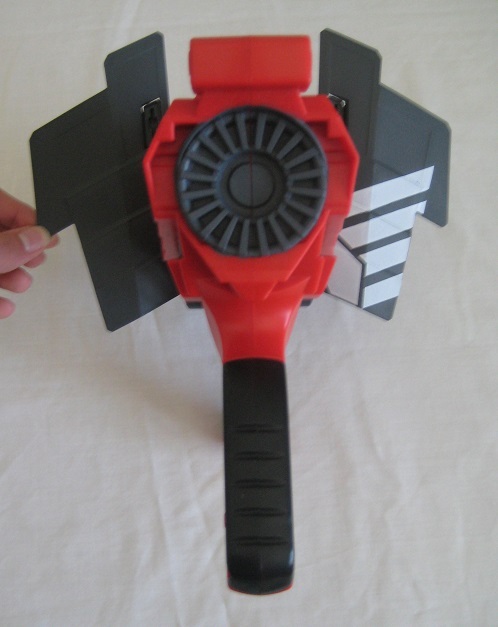 The Twisted Spinner has a 8 dart capacity rotating barrel. 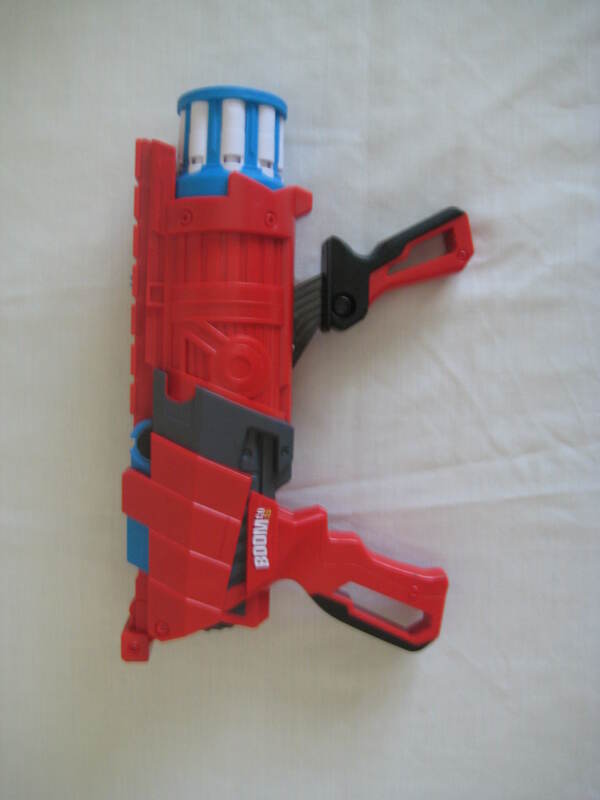 It also has a rail to mount the included shield. 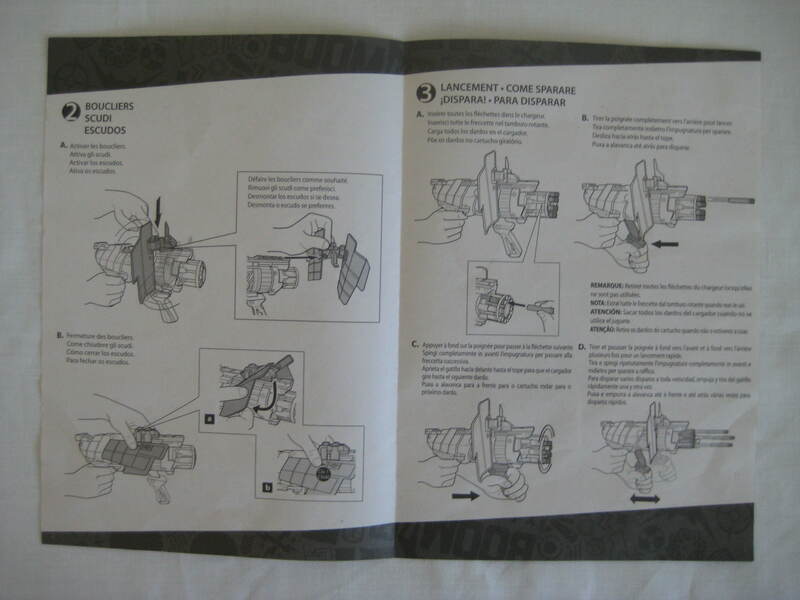 As we can see in the photo bellow, the Twisted Spinner doesn´t has a trigger. 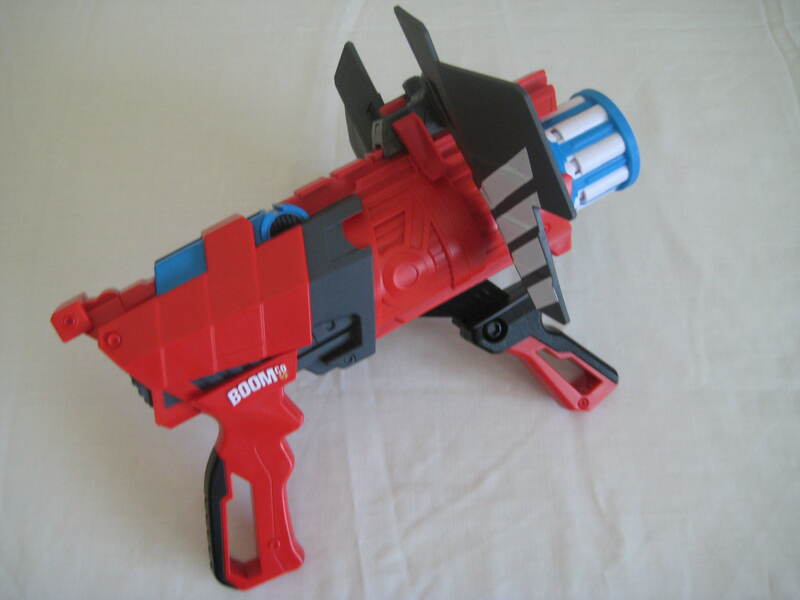 Despite that, it´s easy to fire and maneuver. 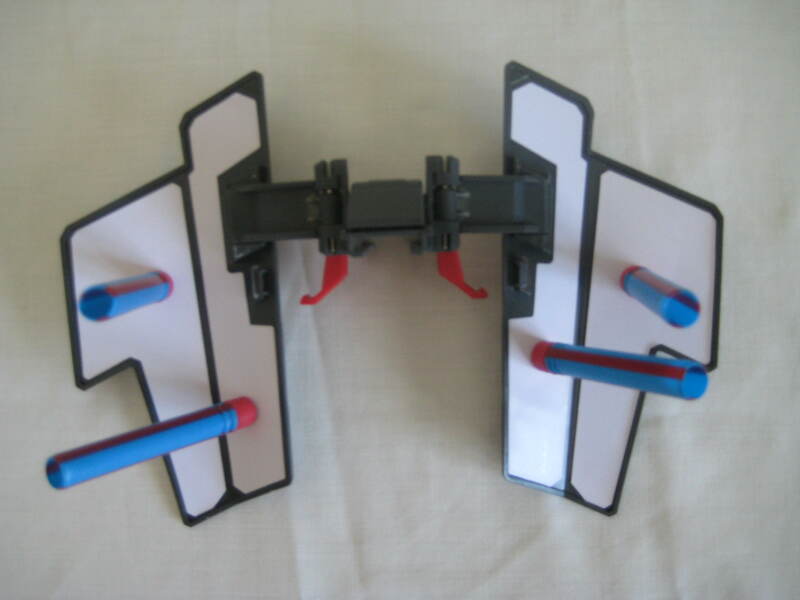 To operate the Twisted Spinner we just pull the handle back and forward repeatedly. 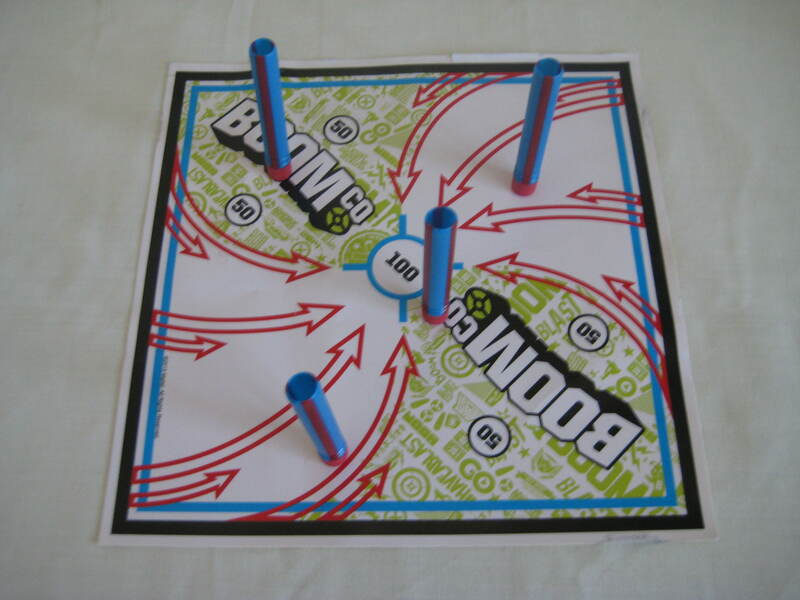 To load the Twisted Spinner, just insert the darts in the rotating barrel. 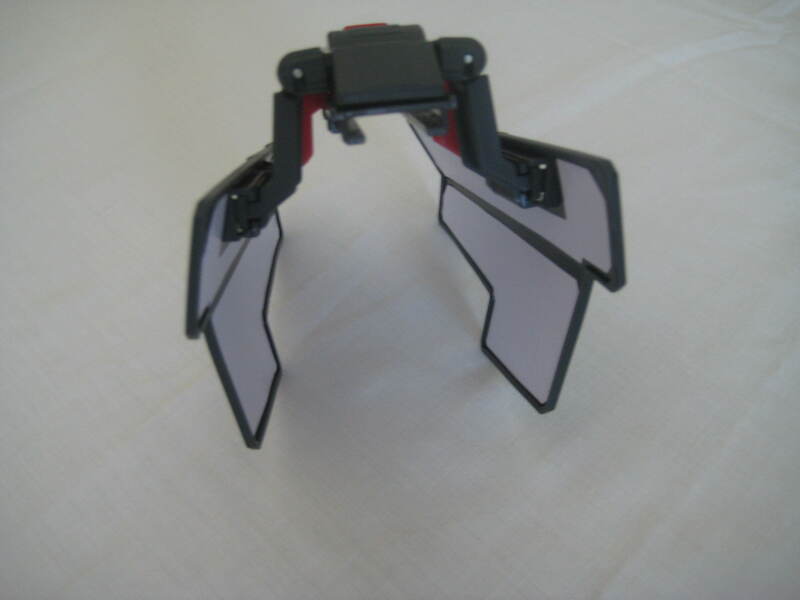 The Twisted Spinner has an agressive look, with a sci-fi touch. 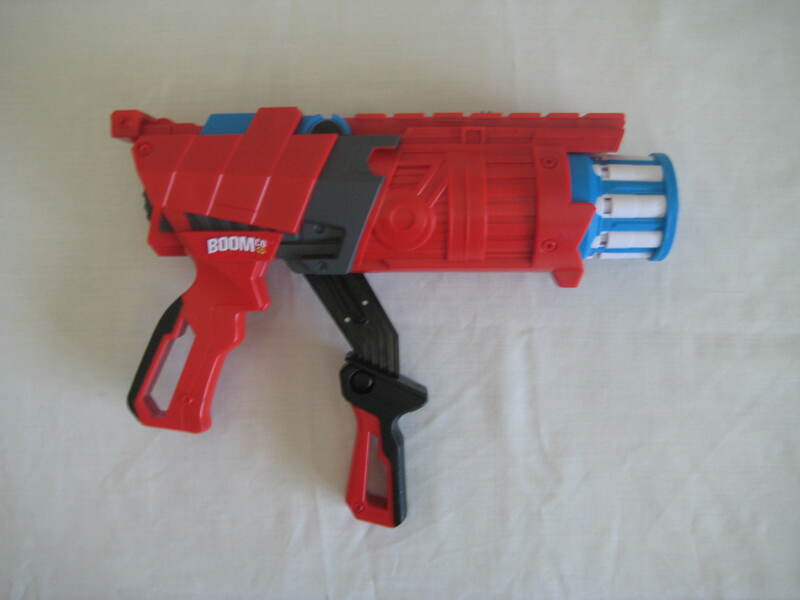 It also has a good 8 dart capacity and it is comfortable. 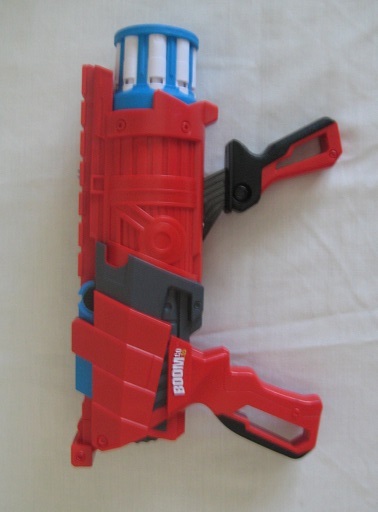 Unfortunately, it doesn´t have a sling adaptor to carry the blaster and it doesn´t shoot darts from other brands, which can be a disadvantage, when we are in the battle field. The box clames ranges of 21 meters, which I think is true, when we fire at an angle, but it only shoots about 17 meters flat. 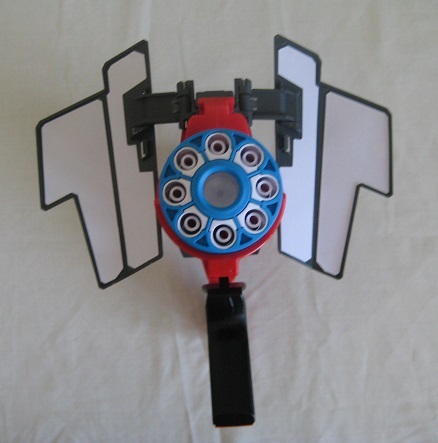 The darts stick to the Targets thru the Smart Stick technology. If the darts get full of dirt when we are shooting them in a battle, we can always wash them like it says in the box. After washing them, they will get clean. 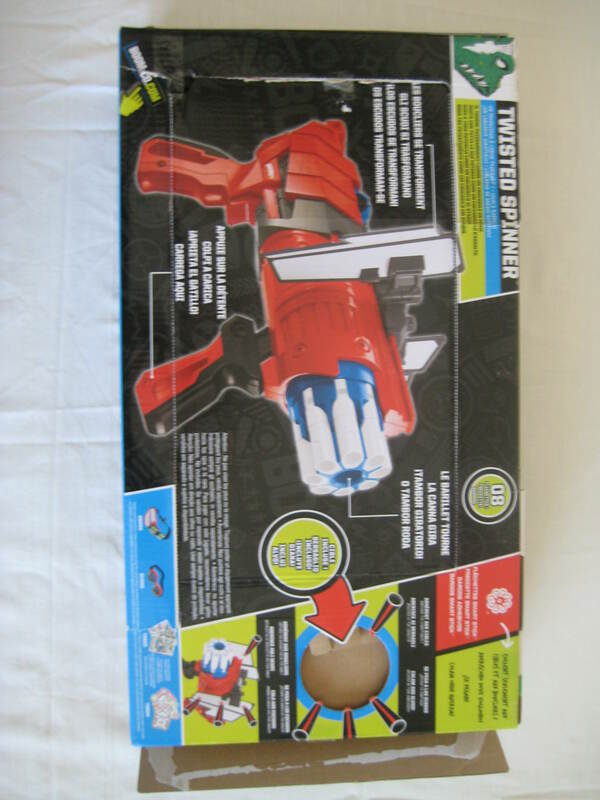 I believe the price (26,99 euros at Toys R Us) is appropriate to the content and I recommend the Twisted Spinner. 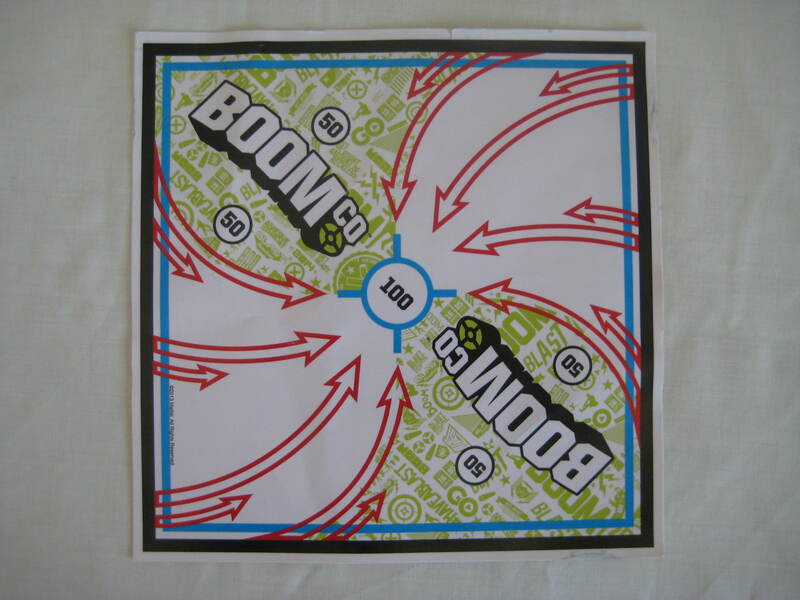 This entry was tagged Blaster, BOOM.CO, BoomCo, ExtremeNerf, Mattel, review. Bookmark the permalink.